So what is "Be Water"? This is the perfect place to provide additional information about the piece. 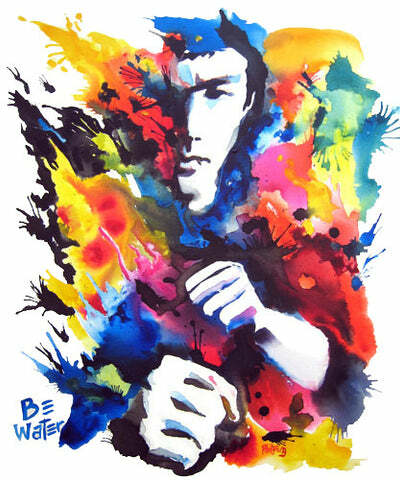 I see Bruce Lee. But I know there's more. Let our system provide additional information to the viewer. Talk about the inspiration, the colors, etc. We can also link directly back to Phil Fung's site to let the viewer buy it on the spot.